The restored grave of the composer Prince Jozef Michal Poniatowski, the great nephew of the last king of Poland, was unveiled at St Mary’s Roman Catholic Church in Chislehurst, Kent, on 27th March, 2014. 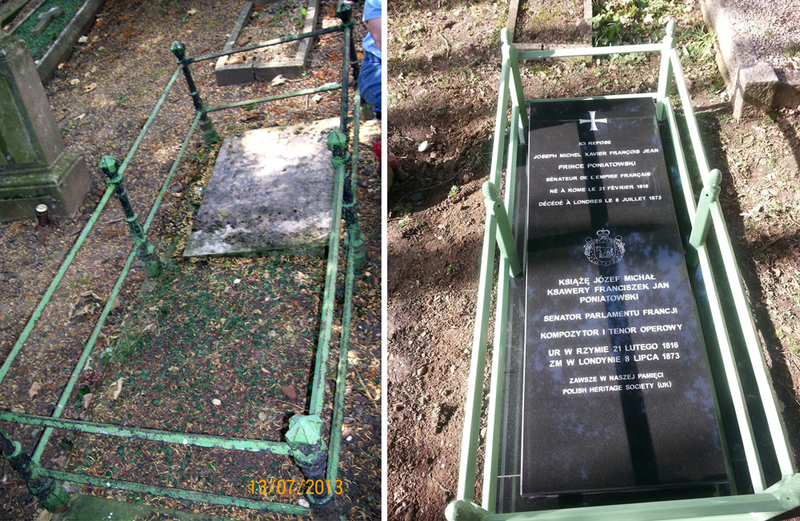 The new grave, completely refurbished thanks to the Polish Heritage Society (PHS), was unveiled at 11.45 a.m. by H.E. Witold Sobkow, Polish Ambassador to the UK. Mr Bob Neill, the MP for Bromley, attended the ceremony, which was followed at midday by a Mass in the church celebrated by Father Charles Briggs and Msgr Wladyslaw Wyszowadzki. A headstone plaque inside the church was also unveiled. 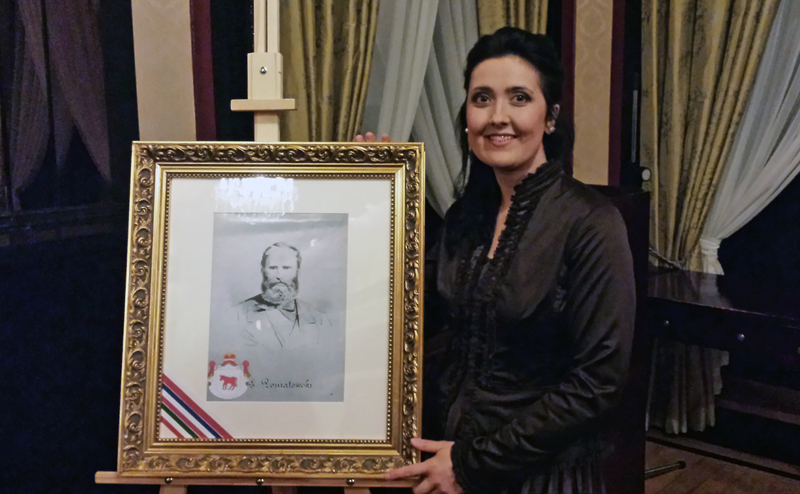 In the evening, the Polish Embassy hosted a concert of Poniatowski’s music given by Polish soprano Aleksandra Buczek, accompanied by the pianist Grzegorz Biegas. Poniatowski was born in Rome and, after his music studies, became an accomplished composer of operas and a performing tenor in a number of Italian cities. The Duke of Tuscany became a personal friend and gave Poniatowski the title of Prince of Monte Rotondo in 1847, and appointed him in 1849 as an honorary Plenipotentiary when he was performing abroad, mainly in Brussels, London and Paris. He later became a naturalised French citizen and was appointed an Honorary Senator in 1854 in the Upper Chamber of the French Parliament by Napoleon III. 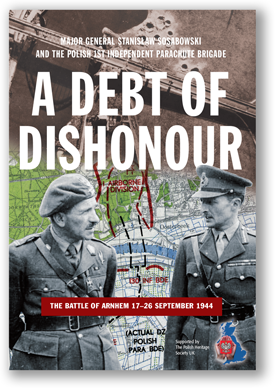 After the Franco-Prussian War when Napoleon fled to England, Poniatowski followed him and they both settled in Chislehurst, Kent. He died there in 1873. Poniatowski was a composer of opera in the Bel Canto style but his work, although regularly played in both Italy and France, is rarely performed in the UK. BBC Radio 3, however, broadcast a recording of his opera “Pierre de Medicis” on 5 March of this year. This project is the third restoration undertaken in UK by Polish Heritage Society. The first was that of Polish Chess Grandmaster Jan Herman Zukertort, followed last year by the restoration of the grave of SOE Agent, Krystyna Skarbek, (Christine Granville). The Poniatowski grave – as can be seen in the left photograph below - was originally discovered by Ella Malhomme de la Roche (Company Secretary of the Polish Heritage Society). The former grave was in very poor condition, being covered by a small flat horizontal stone plaque at the head of the grave which was very worn out and almost impossible to read. Poniatowski grave before restoration (left) and after restoration by PHS (right). Marek Rencki (Treasurer of the Polish Heritage Society) obtained permission from Father Charles Briggs to remove the small stone plaque (90cms x 60cms) and personally redesigned the new grave composed of black granite and with deep lettering, being twice the size of the small horizontal stone plaque. The original French wording was reinstated and, in addition, Polish wording was added as well as the Poniatowski Coat of Arms (Ciolek). In addition, the wrought iron railings which surrounded the grave were rusting and partly broken, and all were replaced with new galvanised mild steel. The original stone plaque was cleaned and renovated, and has now been installed in the Church. We are very grateful to The Embassy of the Polish Republic which generously financed the restoration of the Poniatowski grave, and, in particular, we are also very grateful to Stephen and Karen Wilson, the excellent stonemasons who were technically responsible for restoration of the grave.